Obagi is a pharmaceutical grade skincare company that manufactures powerful solutions to your skin’s most pressing concerns. Founded in 1988, Obagi skin care products have become a pioneer in the space where medical meets skin care. Obagi products are designed to treat common skin concerns through a medical lens with pharmaceutical grade formulations that are highly effective. Some of the common skin conditions that Obagi products treat are fighting the signs of age in the skin, reversing sun damage, neutralizing hyperpigmentation, healing acne, and more. All of the Obagi skin care products must be prescribed by a physician due to their 4% hydroquinone component. Many dermatologists, physicians, medical spas and licensed skincare professionals can prescribe Obagi skin care products to patients who have more stubborn skin conditions that require medical treatment. As with any prescription grade skincare product, the high dose of hydroquinone that exists within Obagi products come with a bit of risk so it’s important to be well informed before making the decision to use them. Hydroquinone is a skin lightening additive that has been the source of much controversy in the skincare space. Hydroquinone is known to work very well to combat skin discoloration, lighten dark spots, and even the complexion when used in formulations like Obagi products. However, if not formulated correctly or used excessively, it can cause harmful effects to the skin. When used efficiently, hydroquinone is safe and effective to use and if you are considering using products like Obagi which carefully formulates their products with hydroquinone you should always follow up with sunscreen. Due to the hydroquinone content inside the Obagi skin care products, even the smallest exposure to sunlight can cause excessive damage to the skin. While Obagi skin care can be a great solution for many people with troublesome skin, there are some who should avoid using them altogether. For starters, some Obagi products also contain ingredients that are known to cause allergic reactions like sodium metabisulfite. If you have any type of sulfite sensitivity, you should not use Obagi. Likewise, women who are pregnant and nursing should avoid using Obagi products due to the limited research of hydroquinone which can possibly cause harm to unborn children and infants. If you’re in the clear for using Obagi products, you’ll likely be impressed with the brand’s extensive offering of anti-aging skincare systems. Obagi currently has four main systems designed to solve many skin care concerns. Obagi Nu-Derm System: The Obagi Nu-Derm system is the most recommended medical skincare solution by physicians and dermatologists to reverse the appearance of aging in the skin. The Obagi Nu-Derm system is available in two main formulations curated for normal to dry skin and normal to oily skin. When used consistently over the course of a few months, the Obagi Nu-Derm system is able to dramatically improve the appearance of the skin by reducing fine lines, wrinkles, and evening the complexion. Inside the Obagi Nu-Derm System are seven anti-aging skincare products. The Obagi Gentle Cleanser is the first step in the system and works to clean the skin without drying it out. Follow up with the Obagi Toner which is designed to restore your skin’s natural pH balance and the Obagi Exfoderm which provides a gentle exfoliating aspect to your skincare routine by helping to remove dead skin cells to make room for healthier skin. After toning and exfoliating, the Obagi Nu-Derm system calls for moisturizing with the Obagi Hydrate that works to add moisture to dehydrated skin while following up with the Obagi sunscreen formulated with SPF 50 to offer a robust dose of sun protection from harmful UVA and UVB rays of the sun. The hydroquinone products inside the Obagi Nu-Derm System include Obagi Blender and Obagi Clear which work to neutralize skin discoloration due to age like sun spots and dark marks. Obagi 360 System: Where Nu-Derm is the Obagi skin care system for anti-aging skin, the Obagi 360 system is the medical grade skincare system for those with more youthful skin. This system is best for those who are looking to protect the skin and fight the signs of age as long as possible. This Obagi skin care system includes three products that work to prevent the typical signs of age from appearing like fine lines, wrinkles, dry skin, and discoloration. The first step in the Obagi 360 system is the Obagi Exfoliation Cleanser which works to gently exfoliate the skin while deep cleaning the skin. The Obagi Retinol 0.5% is a powerful skin treatment that helps to clear the skin and revitalize the complexion in a slow release formulation to reduce the chance of irritation–which is common with retinol based products. The Obagi sunscreen for the 360 system is the HydraFactor Broad Spectrum SPF 30 which functions as both a moisturizer and a sunscreen adding hydration to the skin while protecting it from both harmful UVA and UVB rays. Obagi has three other skincare systems that are not as popular as the Obagi Nu-Derm and Obagi 360 but are still solid systems within the brand. The Obagi C-Rx System is another anti-aging skincare system that operates similarly to the Nu-Derm system in that it works to reduce the signs of age in the skin. The Obagi products inside this line contain the normal content of hydroquinone, however, they are also formulated with the addition of vitamin C giving them more antioxidant protection and an extra boost to improve the complexion of the skin. The Obagi Gentle Rejuvenation System is the most gentle system of the Obagi medical skincare line with options that offer the same results the brand is known for in formulations that work well for those with sensitive skin. And the Obagi Clenziderm M.D System is the brand’s skincare system designed specifically for those with acne prone skin as it works to fight acne and prevent new breakouts from occurring. Along with the Obagi system, the brand also offers a few additional services that can be done in-office by Obagi dermatologists for those who need more advanced treatments. The Obagi Blue Peels are a popular Obagi chemical peel that works to dramatically improve the appearance of the skin. Obagi also offers facials tailored to your individual skin needs to help improve your skin as well. As a heavily recommended medical skincare brand, it’s no wonder that Obagi is home to some of the most impressive reviews in the pharmaceutical skincare space. For dermatologists, the Obagi reviews note that the Obagi products are essential for those who have troublesome skin and need more intense treatments. Obagi reviews from people who have suffered intense sun damage seem to be the most favorable with users extremely impressed with the reduction of skin discoloration and the evening of the complexion. 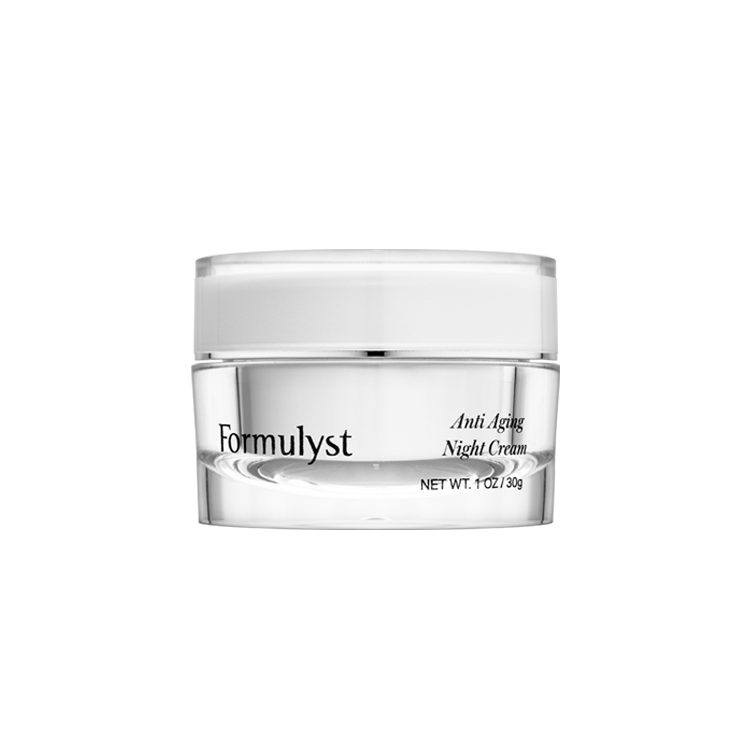 Other Obagi reviews applaud the products for helping to smooth the appearance of fine lines and wrinkles while helping with hyperpigmentation. If you are someone who has a more serious skin concern, Obagi may be a great option for you. Just change your diet. Also probiotic tablets are excellent for acne. No sugars . Drink plenty of water every day. Lots of salads ,fresh fruit and avocados are great i eat loads of avacados and tomatoes. I eat tomatoes like i eat apples. Toothpaste and vaseline mixed together works really well on acne ,pimples etc. I use every night on my face. Works excellent for me. My sister uses this product and while her skin looks good I don’t like the fact they have hydroquinone in their products. I am 49 and people are shocked when they find out my age as they think I look really young even my sister comments. I used to suffer with acne. I drink loads of water eat lots of fresh fruit and vegetables especially avocados I’ve cut out sugar and white bread. I take vitamin E capsules and my nightime beauty treatment is a little bit of whitening toothpaste mixed with Vaseline. I cover my face in it put it on my dark circles under my eyes. My skin is great. During the day I wear sun cream factor 50 on my face no matter what the weather is like. My face is wonderful. All in all, I paid 400.00 for the entire kit and would not pay that kind of $$ again, especially since some of the products are just “fluff” and not needed ( toner, exfoderm, face wash ) as the only active bleaching ingredients lie in the Hydroquinonine and combo used with Retin A.
I’m very disappointed in the customer service and product from Obagii. After spending about $400 on the product in the dermatologist office and the expedition date of 6 months only and not even working on my skin it’s really not a good way to handle customers. It didn’t improve my skin at all with for the discoloration. So I don’t recommend anyone to buy this product I’m sure there is better products out there for that amount of money. I’m on the search. I’ve been using Obagi for over 3 years now and I absolutely love it. I used to have sun spots and freckles all over my face and after only about 2 months into using it, my skin became clearer. After about 6 months, most of the sun spots and freckles disappeared. My skin is tight and I don’t even have any wrinkles on my face. People always tell me that I have flawless skin and that I look like I’m in my early 30’s when I’m actually 46 years old. I love this product and will continue to use it. I used obagi nu derm years ago and I did clear my complexion for the short term but little did I know it will remove my natural colour – they dont tell you that! Since then my face has always been pale and does not tan anymore- even if it does tan it will take a very long time in the sun. I would caution use because it is actually bleaching the skin and you do go pale which is long term basically forever! I used Obaji almost 5 years ago and have noticed now that it caused my skin to be two toned! It was supposed to fix my under eye bags but instead made them worse. I feel awful about the way my face looks now, I wouldn’t recommend this product to anyone!!!! I started using the obagi system about a week and a half ago i am prepping my skin for a treatment of peels starting in the next week or so. I have found my skin is breaking out quite a bit but have noticed some improvements especially in my forehead acne but im still getting quite a number of blemishes else where. im just wondering how long does it take for treatment to take full effect? i just really hope it works cause its really my last hope. Decided to completely take myself of all antibiotics and try clear my skin from the outside in. I have been using Obagi for 5 years and would never use anything else! I am nearly 50 and am constantly mistaken for someone in their late 30’s. Go slow on the products if you have a peeling (expected!) reaction in the first few weeks/months, use mineral makeup to cover. From freckles and sun damage and acne 5 years ago, I can now feel great with no makeup. it is truly amazing but requires PATIENCE and COMMITMENT! I HAVE BEEN USING THIS PRODUCT FOR 6 WKS NOW AND IT HAS DONE NOTHING TO MY FACE. I HAVE NOT SEEN ANY CHANGES. BOUGHT AT A DERMOTOLOGIST FOR 81.OO LESSON LEARNED. I am 26 years old and went to my esthetician 6 months ago to improve upon my mild acne along with sun damage (following years of tanning without protection). She put me on Obagi Nu-Derm with Renova .02. During the first 6 weeks, my skin became extremely red and dry. Although the look wasn’t ideal, I read this was normal and to be expected. In addition to the dryness, I also noticed~100 tiny bumps appear along my chin and cheeks that had not been there before. Similar to pimples, these bumps could be popped and white gunk would come out. But unlike pimples, the bumps never came to a head on their own. Mt esthetician insisted the bumps were a result of my skin purging and recommended that I stick with the line. 4 months in, the redness and dryness had subsided substantially. Much of the sun damage had faded or disappeared, leaving me with a more even coloration. Unfortunately, the bumps remained. It seemed that even if I popped them, they would return within a few weeks. My esthetician recommended a micro-laser peel and mini profractional to remove the top layers of skin, bring the clogged pores to the surface and promote healing. In the weeks following the laser treatment, she recommended that I not use Obagi because my skin would be so sensitive. As expected, my skin broke out as the clogged pores were able to come to the surface. The bumps along my cheeks almost completely diminished and the bumps on my chin decreased dramatically. I began using Obagi ~3 weeks after my treatment. Unfortunately, once I started using it the bumps began to return again. It’s been about a month since I returned to Obagi and I feel as though I am back tracking. The bumps cover my chin and are beginning to return to my cheeks. So today, I have chosen to end my Obagi use and move on to a more appropriate line for my skin. Overall did as it said by reducing my age spots/sun damage and providing me with a more even complexion. It is only because of my acne that this line is not appropriate for me. I blame my esthetician for insisting upon the continued use of a product that addressed only one aspect of my skin care needs while ignoring/worsening the other. To others suffering from acne, I would suggest looking elsewhere if you do not see improvement in the clarity of your skin within the first couple months. Reading responses about Obagi, I feel I need to voice an opinion and thoughts. First of all purchasing this product through a salon? I would not recommend. It needs to be used under a good doctor’s supervision. This line has been prescribed to me by two leading plastic surgeons in conjunction with Retin-A. The first surgeon located in Manhattan back in 1999, the second in Hackensack, NJ in 2015. Nothing has changed! But my new doctor cautioned about not using the bleaching agents for more than 4 continuous months due to their tendency to thin the skin. Yes it is true that there will be redness, peeling. Use some sense. Stop using the product for a day or two and then continue. It is an expected result of the skin renewal. But I will tell you that the serious age spots that had developed (because I had stopped using the skin care) are dissappearing and people are constantly complementing me on my beautiful skin. I have a tendency to break out even here in my 60’s, so I sometimes dab on a bit of Neutragena acne med on a blemish durectly to take care of it. The secret to the line as you use it is HYDRATION. Getting though the initial 6 week period is worth every day of looking a bit irritated. Here’s my 2 cents about what I’ve learned with these products. They are full of parabens, they have fragrance, dyes, ethanols, sulfates, glycerins, and the sunscreen has octinoxate and alcohol in it. 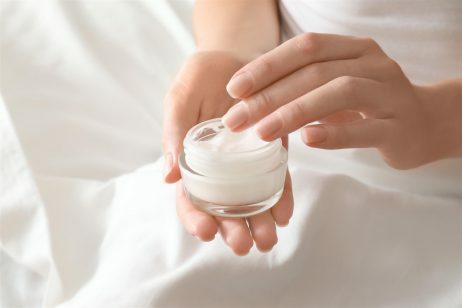 Parabens have been linked to breast cancer, endocrine disruption and reproductive toxicity as well as developmental defects. 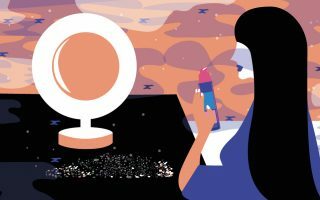 9 times out of 10, fragrances are in products to mask the legally hidden phthalates (endocrine disruptors, linked to birth defects, breast cancer, infertility, liver cancer etc). Dyes are made from coal tar which is derived from petroleum. Sulfates are carcinogens. Octinoxate is also an endocrine disruptor. So in short, you couldn’t pay me to use any of these products. Anything you put on your skin is absorbed into your blood stream within 26 seconds. Recent research also tested cord blood from newborns. A staggering number revealed some very scary toxins within the cord blood. When you say you stopped for short periods then sun spots came back, do you mean you stopped using all the products and started using other brands, or do you mean you just stopped the active ingredients products? I order to maintain what products must you continuously use? Thank you. when i first started, my skin was itchy, dry, peeling & looked like my fine lines were getting worse. When i went back in for my follow up appointment with my dermatologist, I learned these symptoms are supposed to happen! The receptionist had me sign up for a program on Obagi NuDerm and sure enough, I received the email that said all these symptoms are expected. I looked at the brochure that came with the system (it was hiding under the plastic) and lo and behold the entire description of the “program” is listed in there! I’ve been using Obagi now for 4 months and I love how much my freckles have faded. My skin is brighter overall too. My derm has something called a reveal camera and she took a picture before i started. I have lots of sun damage from all the years of not using any sunscreen. 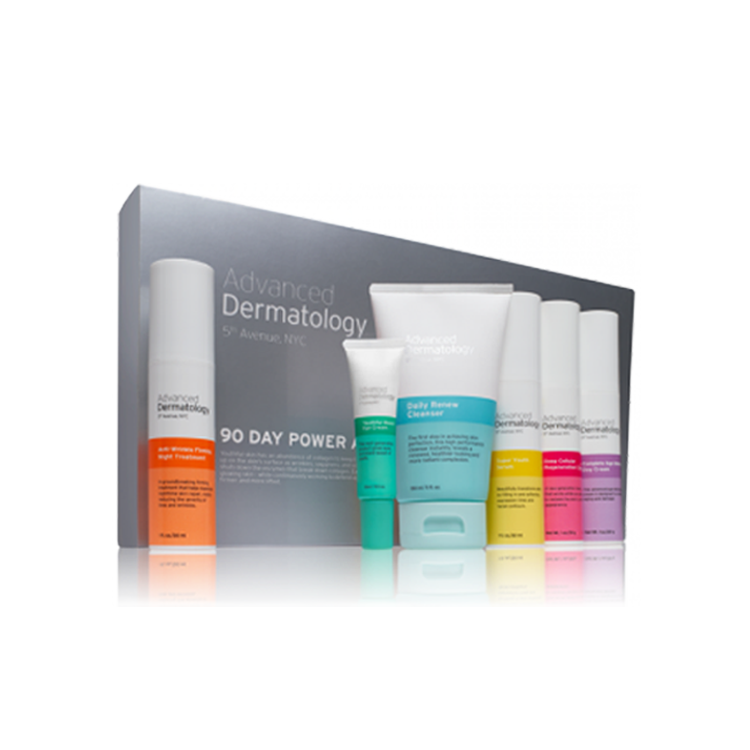 I highly recommend this system for anyone seriously commited to removing the sun damage. I don’t know if I would risk not buying it from a dr. as this system is really expensive and since I only have one face, the $ savings buying it online (expired/ fake?) isn’t worth it to me. Did you up load your youtube to show your skin after using the products? I used to suffer from occasional acne(one or two acne at a time). I wanted a complete cure so Obaji clenziderm was suggested by a salon I visited. I have to say I had the most horrible experience not only with the product but with Obajis customer service as well. within using the skin care system for 2 weeks i felt my skin was getting itchy and tight all over. i complained to the salon and they said thats normal and i must continue using it for atleast 3 months. 3rd week i couldnt tolerate the pain on my face so i stopped. I had acne all over my face now. and now it wasnt just acne … it was much deeper. I emailed obagi for a refund or an exchange but no consideration. salon owner refused to give me any exchange as the products were used . i suffered with cystic acne for the whole year. i used alot of plant based products. took antibiotics. my cystic acne stopped but my marks got deeper with time. this was back in 2009. I have been getting so many treatments on my face including chemical peels, hydroquinone creams, dermabrasion, fraxel… so much money spent only to get rid of my marks and they are still there as melasma now. I will be uploading my before and after pics on youtube and all the details of what i went through over the years. I would never suggest this product to anyone. it will tighten your pores and cause more acne & damage to the skin. worst experience with their customer service. I wish i didnt have to deal with so much trauma to my skin only because of obaji. I used Obagi before I got pregnant and was told I shouldn’t use it during pregnancy or nursing. Recently I stop nursing and decide to use Obagi again. It has been a while since I use them and I really love the new moisturizer, Hydrate Luxe. My skin used to get red and peeled for weeks before it builds resistant to it. And with the new moisturizer, my skin doesn’t get red and does not peel at all! I apply Hydrate Luxe in the morning after #4 and before sunscreen and at night after #5. On the days I forgot to use Hydrate Luxe, my skin peels again. But as long as I use them every day, I don’t peel and I don’t get red. I don’t know why it took them so many years to come up with a moisturizer that works with Obagi Nu-Derm. But I am glad they did. And my friend introduce me to this website TrueBeauty.com where you can always get 10% off by entering discount code member10. I ordered couple times from them, so far I am pleased with their products and service. I started using Obagi a month ago. It was recommended for my pigmentation or sun damage. My skin has become extremely dry and seems the fine lines are worse. I stopped using it. I have used Obagi Nu Derm for over 10 years, If you are starting out for the very first time, just start slowly. You don’t have to use the Retin A /blender every night when you first start. Give your skin a chance to get used to it. Also, use less Retin A in your blender mix at first. I know people that jumped right in and eventually quit because their face was so raw. If your face starts getting irritated back off a little on the exfoderm and retin A and then increase them slowly. I would never be without Obagi in my life! I’m having the same problem Julie as well skin breakouts whenever I use the product. It was horrible and I also have only used natural products in the past. When I did the 2 week consult at the clinic they seemed to think everything was ok and then the next week it got worse even with less use of the product in only a small area of my forehead where my melasma was. When I talked to the clinic about the reaction I was having all over my face and especially along my cheeks under my eyes and that I was very concerned and wanted to return the products they told me I had to come into see them and would not comment on return. The soonest I was able to get in was a few weeks from then so as per the product instructions I stopped using them. Once my skin was healed I tried one application to see how my skin reacted as they told me it never happens and it doesn’t cause breakouts and sure enough my skin flared up again. Today I went in for my consult and they told me it never happens and that I should have taken pictures because they needed them for OZ and they weren’t sure what to do without them. Yet no one asked me to do that. They are apparently calling OZ today to see if they can do a return but are unsure. $600 – $800 worth of product that made skin horrific and “might” be able to return the product!!! If anyone reads this – please send me positive energy for a return on these products. I hope OZ is a compassionate company that stands by their clients enough to provide a return when there is a major reaction. I have been using Obagi for about three years. At first, my skin peeled and was very red and painful. And my wrinkles looked worse! but you have to continue. I promise you it is worth it in the end. Now my skin is clearer, no age spots and my wrinkles are better. People comment all of the time on how great my skin looks. I have stopped for short periods of time and the age spots come back but that is all. It is the best thing I have ever used on my skin. You have to be willing to get through the horrible first 6 weeks though. It is worth it! I have tried everything for melasma. I live in Florida and despite very aggressive treatments and lasers I had no results. Obagi has reduced my melasma in two months. It is very harsh at first but keep it up. I have people stopping me and asking about my skin and now look considerably younger than friends my age. It is a miracle product. I’ve looked at several reviews and although I’m not using the product yet I wanted to share regarding my sister who has used it for a few years now. She recently turned 60 yrs old and I currently in the hospital. She’s the talk among all staff because of how beautiful her skin looks. Many have asked what she’s using. Her face has a beautiful glow, wrinkles softened and her pores which used to be very large are not visible anymore unless you get really close to examine her skin and even then they are now very small. She swears by this product and I have to say I agree from seeing the results. She has told me at the start you will break out as your skin is being purified but encouraged me when I start to be patient and stick with it. Hi. When I started obagi un derm 8 weeks ago, my skin was so red and peeling and felt quite sore, I also thought about discontinuing. I stuck with it and after about two weeks the redness and peeling started to decrease. I used no. 4. Every other day for first two weeks. I did not like to use too much make up at that point as my skin was too flakey. I just kept moisturising with no. 6 throughout the day. Although now at 8 weeks my skin has adjusted to the product I can only notice a vague improvement with some wrinkles looking slightly better. I will stick with the 18 week course and see the overall results. I must say though that my old regime of Simple vitamin face wash, followed by apricot kernel oil into damp skin, pat dry and a good moisturiser like Nivea were so far just as good. I buy all my Obagi products from a plastic surgeon’s office. I used the C for 5 weeks with wonderful tone smoothing results. Then I added Trenitoin .1% and used it sparingly for 4 weeks. My lips became so dry and tight that I couldn’t stand it. I exfoliated the dry skin off my lips and the next day I had a tremendous allergic reaction with swollen, red, peeling, painful lips for a full week. My skin looks great but it’s not worth the lip pain. I still use the gentle cleanser, the C and the hydrate. My skin care consultant says allergic reactions are every rare but 6 weeks later my lips still haven’t healed. Is this product good for someone who had eczema? I have been using Obagi Nu Derm with tretinion for 8 weeks now, my skin is still very red and its peeling like a snake. I teach group fitness and at the end of every class my face is even redder and stings due to the sweat and heat(nasty). I have been assured by my physician that this reaction is normal but i look and feel very unattractive. I recently turn 50 so i decided to change my skincare as the wrinkles and age spots were unaffected by over the counter (expensive) products. i am still hopeful that at the end of the15 week program i will have fresher brighter looking skin so i’m hanging in there as the bits of my face that aren’t red or flaking do so signs of improvement. Obagi Skin Care scheme works very well. It is very productive in correcting pigment issues, laxity of the skin, lines, wrinkles, pore dimensions as well as over all quality of the skin. Excellent to precondition the skin former to surgical and nonsurgical methods and enhance the results of Botox or fillers. I am 63 and have lived in Florida for most of my life and yes I have skin damage! I started using Obagi about 9 years ago and like many others who have commented it started out ruff. My face got red, peeled and had blemishes but after 6 weeks my skin settled down and my skin started looking great. Over time my color all blended and my brown spots faded. I get compliments all the time on my complexion and do look 10 years younger than I really am and that is good because my husband is 11 years younger:) I give myself regular facials, about every three months a citrus peel and stay out of the full sun as much as possible. You have to give the product time to work and if you do you will not be disappointed. I have been using Obagi Nuderm since 2006 the first few days of used I was very sensitive to the tretinoin cream which is like Retin A but my physician told me to use it every other day till my skin gets used to it and it did. You have to give your face time to get used to the products as they are very potent, believe me I was very hesitant at first to continue use cause I also started to breakout but I stuck with it and afterwards the sun damage I had was gone, my pores were very small and my skin is extremely smooth. I love Obagi and I don’t care what anybody says I stand by it. For those of you that had problems maybe you just didn’t give it enough time to work plus you must work with your physician to make sure everything is going the way it should. I was first skeptical when I bought The Nu Derm system by Obagi but after a few months I noticed that my skin was clearer and my pore size was smaller. I still have blackheads and whiteheads but I can definitely see a big difference in my skin when I look in the mirror. My husband is also using it and his skin is looking great. He says he cant tell but I can tell. I started using Obagi Nu-DERM Line 2 months ago but i am not seeing any improvement. Instead my face is breaking out so much. I don’t know weather i should stop or give it a couple months. I have been using Obagi skin care products for several months now but have seen no visible improvement in my skin. I find them to be a little irritating and I need a stronger moisturizer. My Obagi experience has not been great and I will be trying something now instead. I used Obagi Nu Derm for the first time last night and I woke up with a rash this morning. I will avoid this product and try to return it in the morning. I was recommended this by my physician who was fully aware that I had sensitive skin so I will be looking for somewhere else to go now. I know you are wondering if spending a few hundred dollars on a face wash, cream and peel is worth it but I have been using Obagi for years and it has really worked well for my skin. I love the Obagi range and it isnt great for sensitive skin because I know a friend who cant tolerate their products but they are potent but I prefer to use something that works rather than just a moisturizer you can buy from the local store. I received so many compliments on my face since I started using Obagi Nu Derm last month. This is the best skin care range I have come across and I will recommend Obagi to my friends. The product isnt as expensive as creams in department stores and many dermatologists use Obagi. I found Obagi skin care to be quite irritating for the first two days but you just need to keep using it and let your skin warm up and eventually that irritation will disappear and your skin will be just fine. I use a few products but I found their sunblock to cause my breakouts so I stop using it. Nu Derm Is definitely the best cleanser and cream I have bought. I love Obagibagi Nu-Derm Foaming Gel, Obagi Nu-Derm Toner, Obagi Professional-C Serum 15% Strength, Obagi ELASTIderm Eye Treatment Cream and Obagi Hydrate Facial Moisturizer. I have very dry skin so I need an intensive cream and strict skin care routine or my skin gets flakey. I started to use Obagi one year ago and my skin feels much better. Ive been using obagi for 5 years and absolutely love them, ive tried other products just for the sake of it and to make it easier to buy them and I always end up going back to them ,although I don’t have a problem with sun damage or deep wrinkles ,they make my skin look fresh, even and takes the red off. I was wondering if you know where you can buy genuine Obagi products from the internet. There are quite a few products in the Obagi range that I would like to buy, including the i Nu Derm System and their vitamin c serum. obagi tretinoin cream works better then most retinol creams but it is quite powerful that you want to avoid using it everyday. Make sure you are using it in combination with obagi nuderm and other skin care products recommended by your physician. I bought a starter kit before and the only product I didn’t like is the obagi clenziderm. Hope this helps.